There are numerous natural, healthful ways to achieve protection against inflammation and issues like atherosclerosis (hardening of the arteries), with diet playing an especially important role. 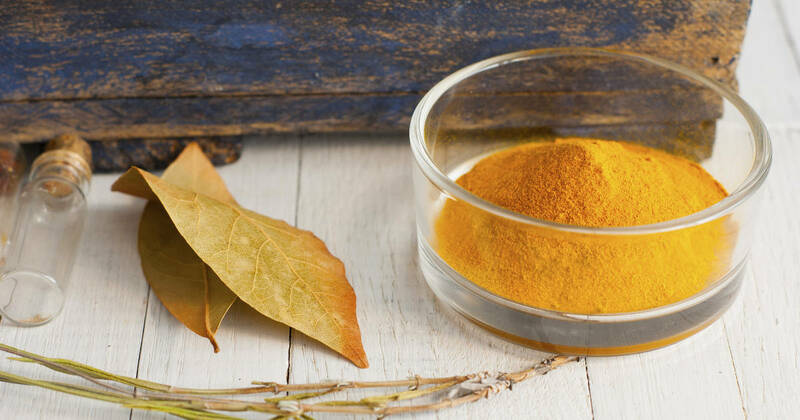 Just one solution revolves around the spice turmeric and the herb bay leaves, with one recent study finding that combining the two can have remarkable effects on reducing the risk factors for heart disease – reducing plaque build up and reducing blood sugar. The study, published in the Journal of Medicinal Food, focused on zebrafish fed a high cholesterol diet (HCD) and then tracked for health changes. Some of the fish were given turmeric and bay leaf extracts, while the others did not. The researchers found that these extracts and their strong antioxidant concentrations suppressed the incidence of atherosclerosis, or hardening of the arteries. This is a significant risk factor for heart disease, and when paired with the other benefits noted in the zebrafish, the findings could translate to important advances in the prevention of heart disease in humans. Turmeric in particular has been shown to offer these protective qualities. Other research found that spices such as turmeric, cinnamon, and cloves normalize insulin and triglyceride levels while boosting antioxidant defenses. Keeping triglyceride and insulin levels low effectively reduces your risk for numerous health conditions like metabolic syndrome, diabetes, and the number one leading killer — heart disease. Fortunately, both of these foods are easy to find and easy to incorporate in your diet. Bay leaves are commonly put in soups and meats, and can be added to numerous other dishes.